How do I promote a group member so that they can create/edit the group's quests? 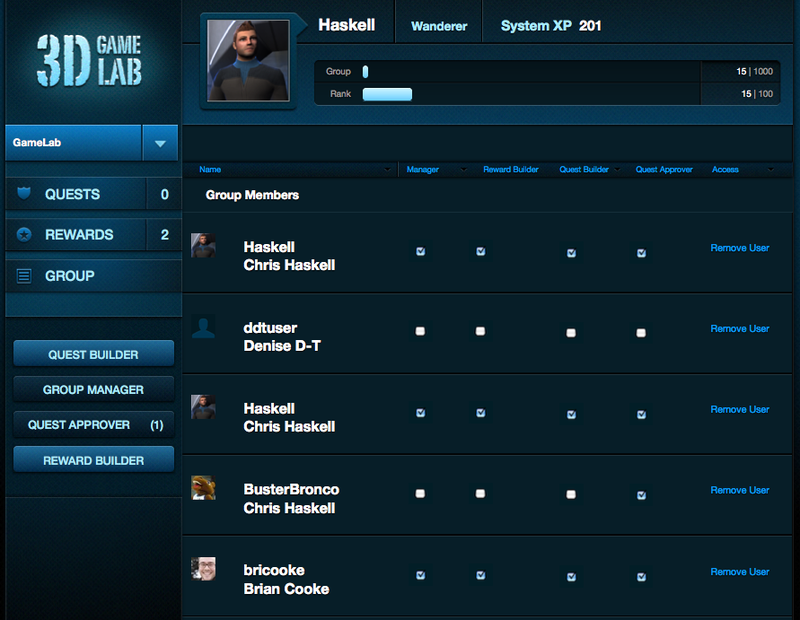 Click on Group Manager>Members and assign permissions there. When I enter the click on Group Manager I'm not getting any new options. It just takes me to the In Progress quest screen. Am I missing something? 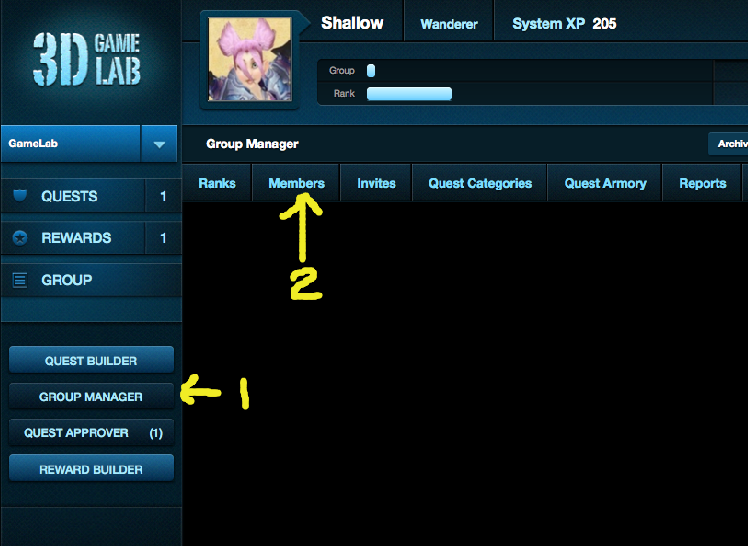 Look at this screenshot, do you see the navigation at the top showing "members?" It should bring up this screen.